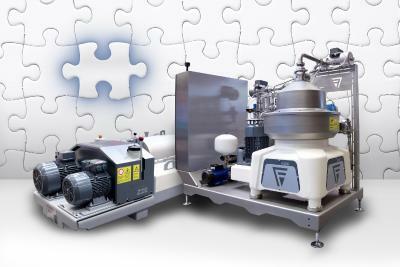 FLOTTWEG – "Engineered For Your Success"
For over 60 years, Flottweg has manufactured high-quality centrifuges, belt presses, and systems for the mechanical separation of solids and liquids. This technology handles key industrial functions in the treatment of liquids, separation of liquid mixtures, and in the concentration and dewatering of solids. Our machines and systems have a wide variety of applications and area used by our customers worldwide in the areas of sewage sludge processing, the food and pharmaceutical industries, and the petroleum industry. Every day, over 900 Flottweg employees around the world work to ensure the satisfaction of our customers. Subsidiaries in the United States, the People's Republic of China, Russia, and many other countries guarantee proximity to our customers and short service paths. Despite the high export proportion of our goods, Flottweg develops and produces exclusively in our location in Vilsbiburg, Germany.